� OCHSAA�s mission statement includes promoting the legacy of Oconee County Schools and fellowship among the alumni. �� ����.. It only costs $0.00 a year to join. An Application for membership can be completed online at the OCHSAA website. See link below���..
OCHSAA is working on a data base of all graduates of all public high schools in Oconee County.Pictures are also wanted. The big job is to develop a mailing list of correct names and addresses. Old school records listed all graduates alphabetically and not by year.That complicates the effort to develop a mailing list. OCHSAA’s mission statement includes promoting the legacy of Oconee County Schools and fellowship among the alumni. The group sponsored the Oconee 2007 Teacher of the Year Dinner and plans to expand on that. Teachers need all the recognition and appreciation we can give them. All Oconee Alumni were recognized at the OCHS Homecoming game this year. OCHSAA was also discussed at the Annual OCHS Alumni Banquet in June and at the Bogart Alumni Luncheon. Class reunions are encouraged.Class contact persons are needed by OCHSAA. More activities, including scholarships, are in the works. We can expect more and more from this group. It only costs $0.00 a year to join.An Application for membership can be completed online at the OCHSAA website.See link below. The current officers and directors names appear below.Any of them would be glad to discuss OCHSAA with any interested alumni. Welcome to the Oconee County High Schools Alumni Association (OCHSAA) website. 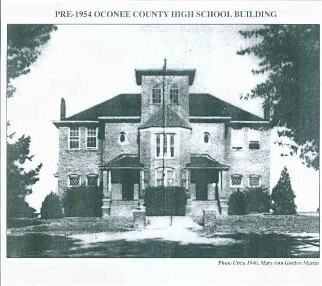 Please feel free to access all the information pertaining to the different high schools located in Oconee County over the last century. 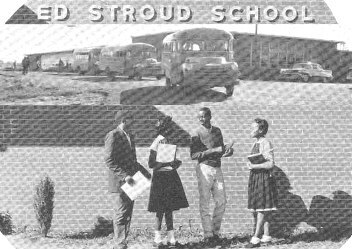 Our schools have some very interesting history and they are making history every day. Click on the “Alumni Application” and become a member of the alumni association today. Even though our site is still under construction, check out what we have available at this time. If you have anything of interest that the executive board may consider for an addition to our site, please click the “Contact Us” button and send us a message. In order to accomplish these goals, we ask that you join the Association and be an active participant. Your membership will allow us to communicate with you and your annual dues of $0 per person will help with the Association’s expenses (i.e., stamps and website). We have included an application for membership. Please join the OCHSAA by returning your application by June 1, 2007. Please call (706) 769-7395 if you have any questions. The application and the dues for the year 2007-2008 are $0 per person. 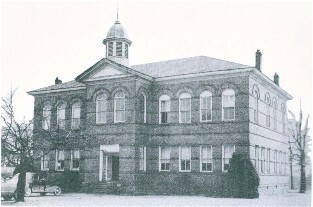 The Oconee County High Schools Alumni Association (OCHSAA) was formed and its bylaws were adopted in June 2004. The purpose of the organization is to support the academic excellence, best interest and traditions of Oconee County Public Schools. Its mission is to promote and facilitate the development of programs of enhanced fellowship among alumni and to ensure that an annual meeting of the association will occur. Membership in the OCHSAA is targeted to the graduates of all the county’s high schools (past and present). It is a dues-paying association ($0 per year) and is led by an Executive Board.